Well, thanks to that Eileen at EpiscopaliFem, I have to think of 8 more things about myself that I didn't disclose in the 6 Things About Me meme not to long ago....well, here goes...AGAIN! 1. I love listening to Hawai'ian music via iTunes radio, especially in the summer. 2. I love making and eating stuffed grape leaves with lemon juice, cold or hot. 3. I talk to the neighborhood pets and know them all by name. 5. I'm a fair shot with a rifle in target practice. 6. I also love archery, but no compound bows for me! 7. I think I was a diplomat in another life because I seem to be able to diffuse anger in others, strangers or people I know; maybe that's why I'm chaplain! Ya think? 8. I would walk a hundred miles for a double iced mocha with whipped cream...no, keep your sweet little minds out of the gutter, now. Now I am supposed to tag 8 others hapless souls...so, I tag Cecilia, Quixotic Pastor, Dennis, EpiscoSours, Magdalene, Brash, Dramatic and Outspoken, Offcenter, and Grandmere' Mimi. 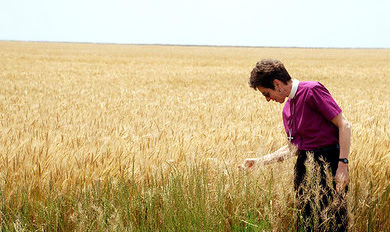 This last week, Presiding Bishop Katharine Jefferts Schori, visited the Diocese of Kansas. According to the Episcopal Life article, she visited 14 churches in 4 days, saw the destruction of homes by forces of nature, and found the love of God everywhere she went in the people she met and the places she visited. I see a lot in this picture, and its not simply of a woman in a field of golden wheat either...it is so much more. Can you see what I see? Here are some of the things she said while in Kansas. So much truth in so few words. If only our common life were so simple...it can be if we try. "I see health in our churches where people are loving God and loving their neighbors," she said. Her face lit up when she talked about evangelism and the many opportunities for work in the community. 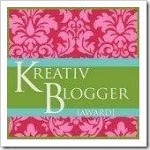 "What has God given you," she asked, "and what in you can give back to the community?" She was asked of her dream for the Episcopal Church. "To restore all people to unity with God in Christ," she cited from the Book of Common Prayer. "My dream for the Episcopal Church is that we would be a shining example of this to the world." The photo was taken of Our Kate in a beautiful field of wheat by none other than Richard Schori.